Jairo Diaz will undergo season-ending Tommy John surgery after being diagnosed with a torn UCL in his throwing shoulder. 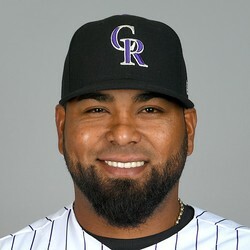 Diaz wasn't fantasy relevant for this season as he was competing for a bullpen spot with the Rockies. He was considered one of the teams' top 20 prospects by FanGraphs, with a plus fastball, but he'll have to wait at least another season-plus to make him impact felt in the majors.